Figure 1. Global distribution of seafloor hydrothermal systems and related mineral deposits. 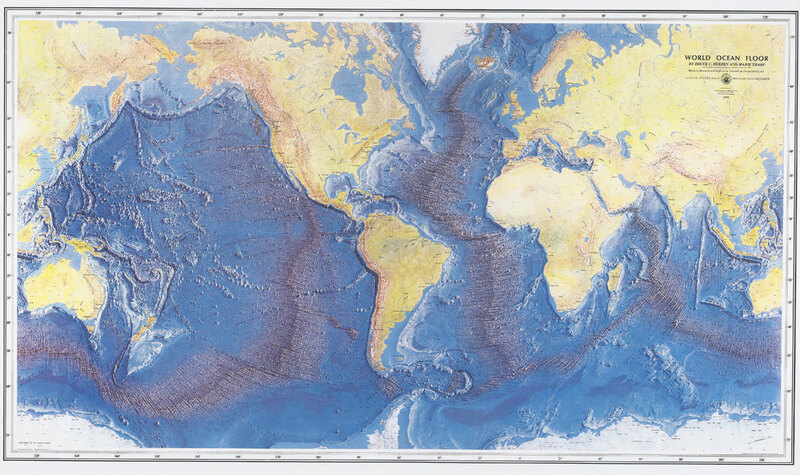 Version 2.0 of the InterRidge Global Database (Beaulieu, 2010) used in this study contains information on 554 sites of seafloor hydrothermal activity (confi rmed and unconfirmed) and inactive deposits. About 300 are sites of high-temperature hydrothermal venting; 165 are confi rmed sites of massive sulfi de accumulation (Table DR1 [see footnote 1]). Credits: S. Beaulieu, K. Joyce, and S.A. Soule (Woods Hole Oceanographic Institution). Alvin was constructed in 1964 by the Applied Sciences Division of Litton Industries with funds provided by the Office of Naval Research. The submersible remains state-of-the-art due to numerous reconstructions and improvements made over the years. These improvements make possible the complex operations which Alvin is capable of performing today.